I created this symphony with the greatest ambition. I wanted to have the universe soaring grandiosely in my new electronic feedback sounds undertaking. The playful universe would not have any of this though. 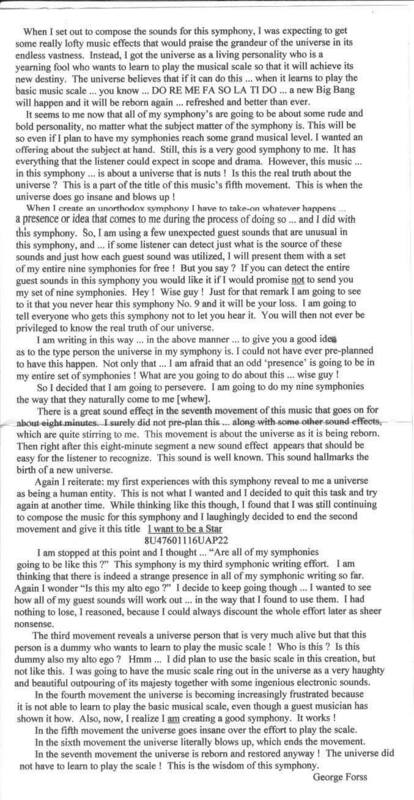 Read the CD text here and what is real in the universe. Did you know that we can have anything we want if we ask the universe for it in a certain way ? Did you know that all life forms are creating a heaven for themselves while they are alive here. The idea that only pushy goodniks go too heaven is false ! I sell my symphony CD creations for $25. 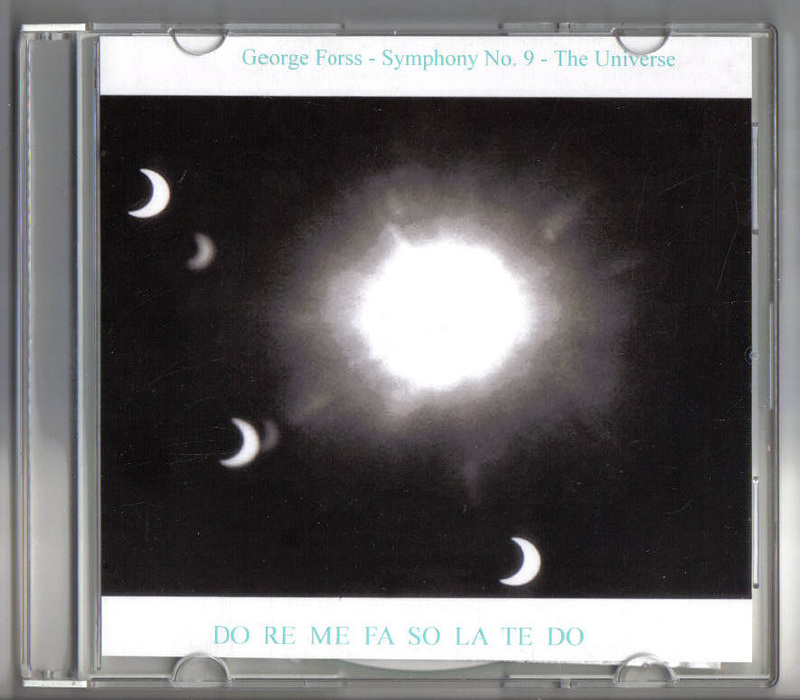 ← George Forss Symphony No. 4 Where am I ?